They promised me nine years of safety but only gave me three. Today my time has run out. Meredith's father was supposed to be in jail until Meredith turned eighteen. But now Meredith is only fifteen, and her father is coming home from prison. Her father is a child molester who raped her, and now he's coming back to live next to Meredith's apartment. This is a nightmare come true for Meredith, but she's not going to let her father hurt her again. No matter what the cost. 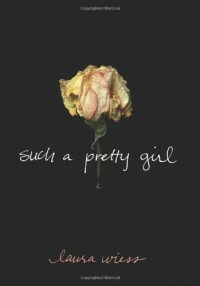 Laura Wiess's Such a Pretty Girl is a powerful, riveting book. The subject matter isn't easy, but the character voices are so beautifully done that the result is amazing. I loved this book to pieces, but I wouldn't consider it abook for teens; in my opinion, it's more suitable for adults.